Some Warhammer 40k players may recall the first time they rolled dice, or even the first time you saw that new starter box. Like most of my gaming group, I have been playing since the third edition of the game. When third edition came out, I was told by the older gamers at the time that it was a drastic difference from the first or second edition of the game. I did not play the first two editions of 40K that much. I did, however, play a good amount of the third edition of Warhammer fantasy, which plays very close to those first two editions with the exception of the way you step up your models. Where the first and second editions had some armies listed together in the same codex, the third edition had each army with its own individual codex or a single supplement that added to an existing codex. 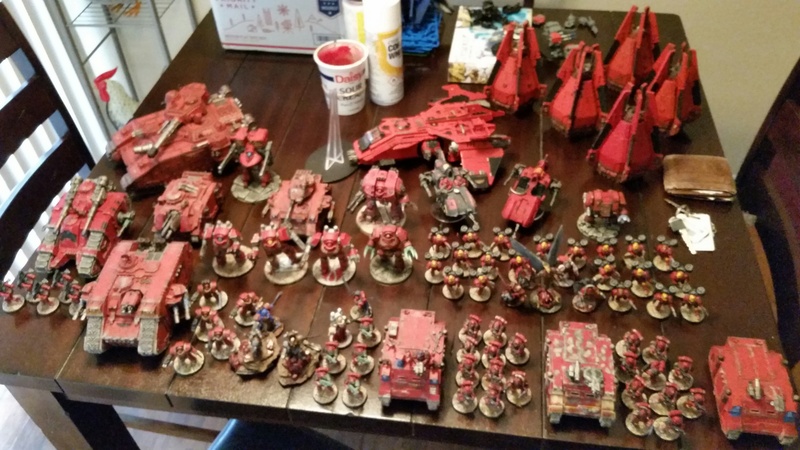 Ever since the third edition, we have seen the number of armies and the number of codex grow. With the eighth edition the armies have been consolidated into five books for the first time. With this change we see the first and second edition peeking its head around the corner. When the third edition came it gave us more streamlined rules for weapon profiles and vehicle damage, but with Third, and all of the other edition up to seventh, came the beginning of the special rules. The more I have played this game the more special rules I have seen add, taken away, or changed. Seventh edition was the king of special rules with a large portion of the game played from this section of the book and now eighth edition has changed that. Special and universal rules are no longer in books but rather they are on the individual unit sheets. This method definitely a throwback to the first three editions of the game. 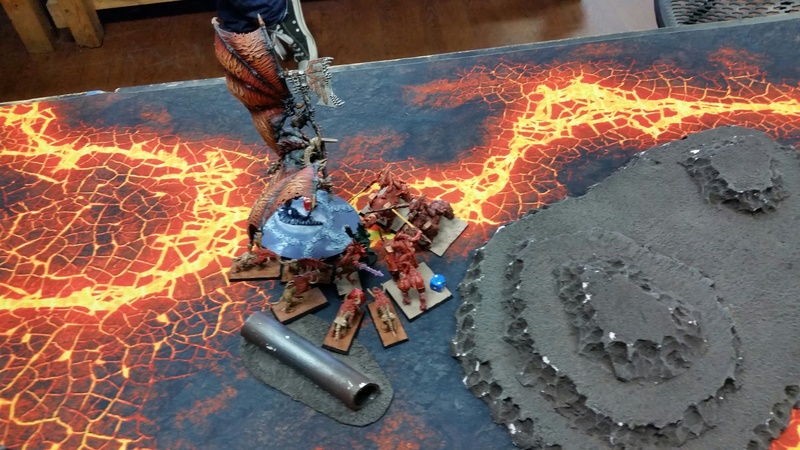 In this edition of 40k we see a new “moral” phase along with slight changes on all of the old phases as well and over the course of the next few sections I will cover the biggest changes I feel are the most impacting of the game and the way it plays. Movement: In seventh edition each infantry in an army moved the exact same six inches, and with eighth edition each unit gets a new movement stat. The biggest change is that there is no longer any difficult terrain. Now with my army of blood angels the unit speed doesn’t change much, but with elder armies most of those movement rules they use are no longer in effect or even exist. The biggest change in the movement phase is the elimination of the “deepstrike” move. 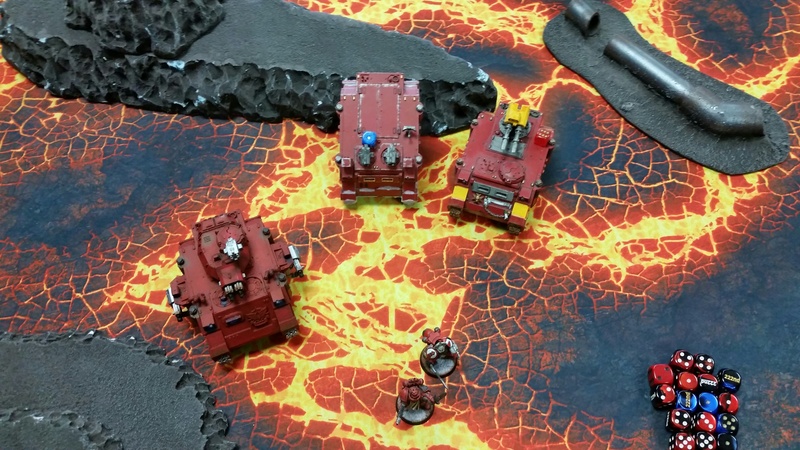 Now each unit has its own special rules that mimic the deepstrike move but vary depending on the special rules for said unit. Deepstrike units now have no scatter or account normal, but these things are handled at the end of a turn normally and organically. This results in you not getting a normal move but you do move and shoot. With this modified rule though you end up more than nine inches away from your enemy. Psychic: The phase itself did not change much, just the powers and the way you activate them. First is the powers. Each army has three powers and that is it. Each power now has a simple casting value that you have to roll on two six-sided dice. If you beat the roll, you get it. You can still stop the power if you have a psychicer within range of the caster. Shooting: this is where we see a lot of improvements and changes. The first change is that the weapon profiles are different. Some of the weapons will work the same, like bolters, but others have changed. A great example of that is how the heavy flamers went from assault weapons to heavy weapons. The second change is found in the way AP values work with weapons. Now, a weapon has a -2 AP and it reduces the save of the model by two. The third difference is in the damage value. The damage value of some weapons have changed with weapons now performing up to D6 wounds to a model. The last major difference really impacting things is seen in how targets of a unit are declared. Now, each model in a unit can choose to shoot at something different which expands the use of units like tactical squads that carry heavy weapons used against tanks. Charge: The first change is you can charge a different unit than the one you shot at. You can now not only charge when you shoot heavy weapons, but your tanks can also charge. The last is now characters can intervene if the combat comes close meaning that models get attacks of opportunity and can not be hit back until the next round. Also Overwatch can now be fired every time a unit has been declared a target of a charge as long as they are not locked in combat, hello Tau players. Fight: The only change here is that there is no more initiative for models. Now, the player whose turn it is picks a unit he controls and rolls the attacks and works out the damage. Then, the opponent picks a unit (it does not have to be the one that just got hit) and rolls his attacks. The biggest difference here is if you charged, you go first no matter what. Moral (new phase): The leadership tests are now taken at the end of the turn but pretty much work the same way. The exception being that the more models a unit loses, the worse it’s going to be. Overall the game still feels the same, but it is just quicker to play with two fun new game types. 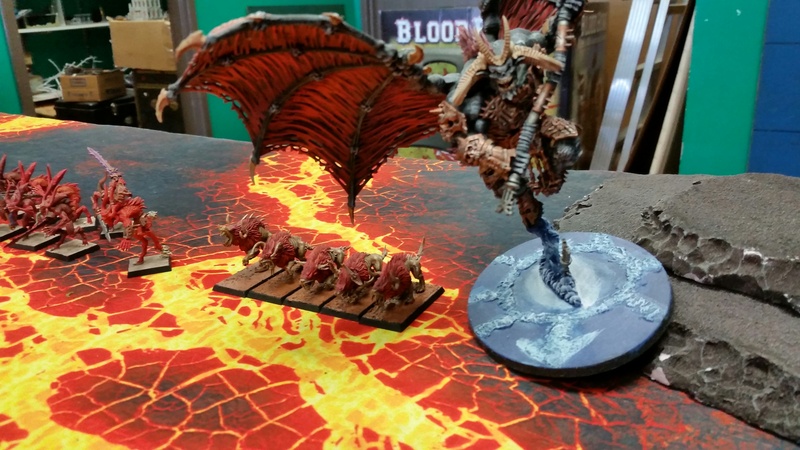 Match play however will be seeing smaller army sizes due the the point cost for models. Power level play is fun, but you mostly use the “what you see is what you get”concept, otherwise it will not be balanced and would be hard to keep track of. After the first ten games I have played I would have to say I love this edition and it’s so easy to get new players into. I hope you have enjoyed reading my view of the 8th edition.